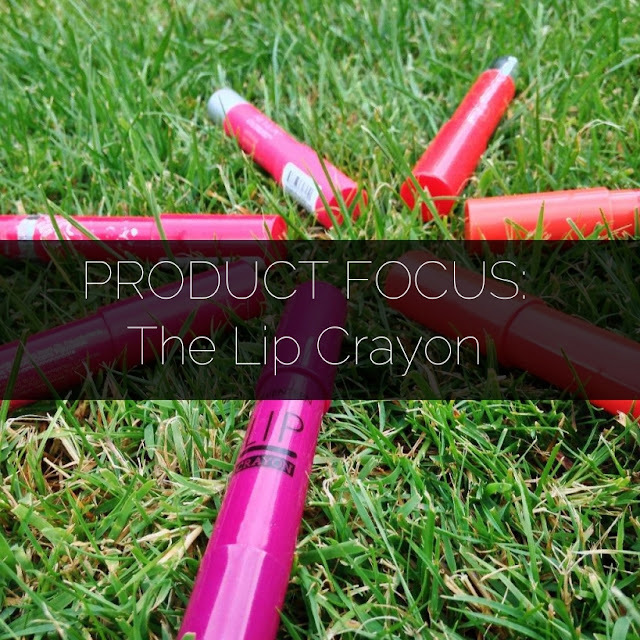 Lip crayons are definitely my go-to lip product when I'm out and about. They're so easy to apply and are perfect for when I don't feel like wearing a lipstick (which is a lot of the time). 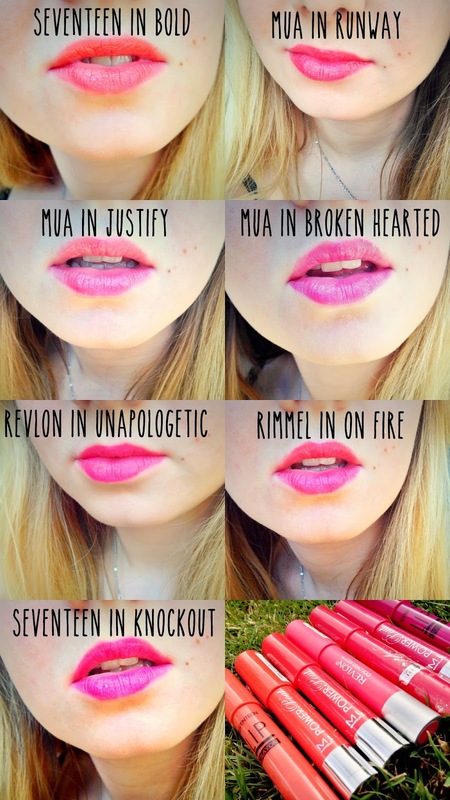 Nowadays, most brands stock some kind of lip crayon and they range from very sheer and natural to ultra matte. I'm going to share with you a few of the lip crayons I own, complete with swatches, try-ons and my thoughts about each brand! The colour I automatically always reach for is Seventeen in Bold - it's fairly subtle (compared to orange/coral toned lipsticks) which means it can be worn easily during the day but is also buildable for the evening or going out. The other colour, Knockout, by Seventeen is also great for a night out and I generally wear it if I'm wearing all black and want a colour kick. 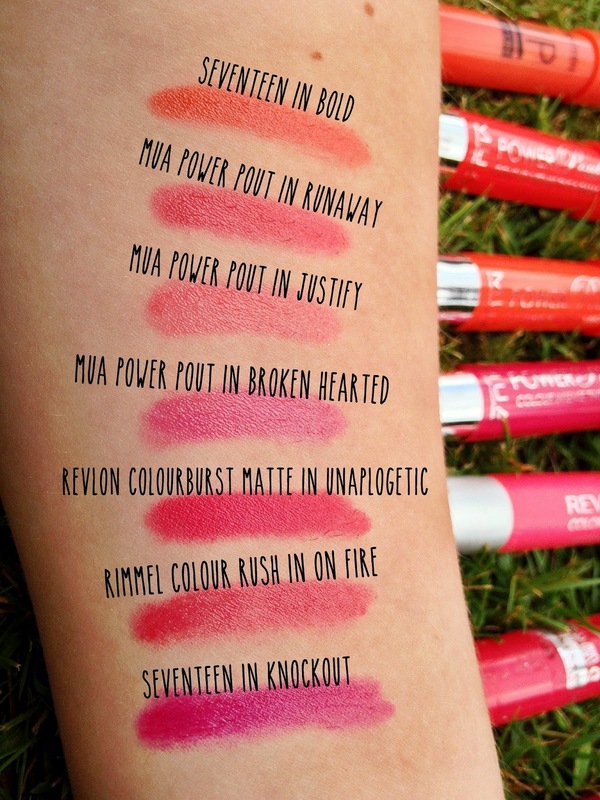 The Revlon Colourburst is the most matte and the most "lipstick-esque" as it stays well and is SO pigmented! The MUA colours are the most subtle in my opinion but I do love to wear a more sheer colour during the day so these work perfectly for me. Finally, the Rimmel Colourburst in On Fire is a fairly similar shade to MUA's Broken Hearted but feels more long-lasting and slightly more matte. Another thing I love about all these lip crayons is they taste AMAZING. Obviously I'm not suggesting you eat these products but let's just say it's not unpleasant when you accidentally nibble some of the product off your lips. Are you a fan of lip crayons like I am? Have you tried any that I've left out? Let me know below, as I'd love some new ones to try! DISCUSSION: Do You Really Know What's In Your Shampoo?